The 2012-13 Common Application went live on August 1. While the deadlines for most private colleges aren't until fall or early winter, the best time to get started on your application is right now. The following tips can help you complete your Common App accurately and with a minimum of stress. Harvard. Yale. Stanford. MIT. Just the names of these colleges and universities conjure images of elite learning, rich traditions, and exceptional opportunities. 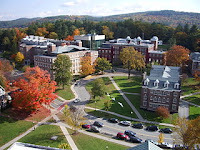 Many people believe a degree from a highly selective school is the ticket to a successful, rewarding life and career; as a result, competition to gain admission to these schools is, to put it mildly, fierce. If you apply to a school with an acceptance rate below 20%, your application will land in a pool along with those of thousands of other kids who boast GPAs above 4.0 and SAT scores that are north of the 2000 mark. Apply to schools with acceptance rates below 10%, and you're being considered alongside other kids who appear to be more or less, well...perfect. So, assuming you've got the exceptional grades and test scores to put you in the running, what else are highly selective colleges looking for in potential students? How can you start preparing to be a competitive candidate long before it's time to complete those applications? With over 3,000 colleges and universities in the U.S. alone, students today have an almost overwhelming number of higher education choices to consider. When you first begin thinking about which schools might be good matches for your needs and goals, the possibilities might seem overwhelming. But if you develop a plan before you launch your research, you can minimize stress and keep your college search sane. All too often, prospective students and families invest time, money (and sometimes torturously long journeys) to make college visits, then leave having gained little more than knowledge of the campus map and the dining hall menu. Make the most of your campus visits and get the information you need to make informed decisions about whether or not a school is the right fit for you by planning ahead, taking advantage of campus tours, and then venturing off on your own. Summer is here! If you're a college-bound senior, now is the time to begin key college planning tasks and alleviate the stress and chaos of the coming fall admissions season. There are numerous ways you can use your summer break to get ahead of the curve on your applications. Is College Only for the Rich? Once upon a time, a college education was the almost exclusively the privilege of the well-to-do. 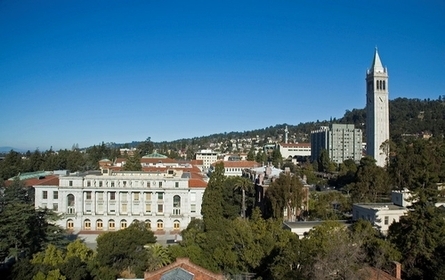 The occasional middle or working class student managed to slip through the gates of the ivory tower (usually a student both white and male), but it wasn't until the 1960s that the idea of equity in higher education was acknowledged as an important key to improving lives and securing the economic, social and cultural future of our country.